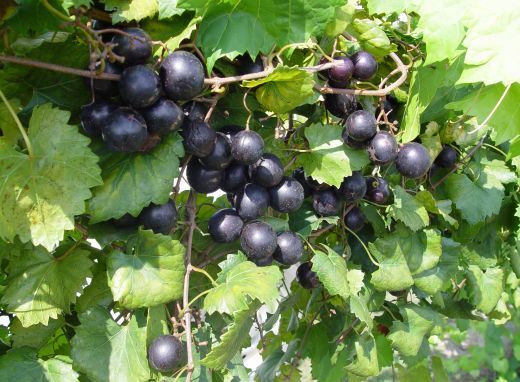 Lane is the first new muscadine cultivar released by UGA in more than 10 years. Originating from a cross of Supreme by Tara in 2005, Lane has self-fertile flowers, an early harvest date and excellent fruit quality. 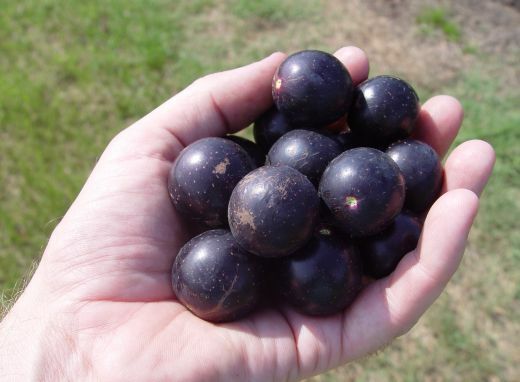 It produces large, black berries that ripen early in the muscadine harvest season. 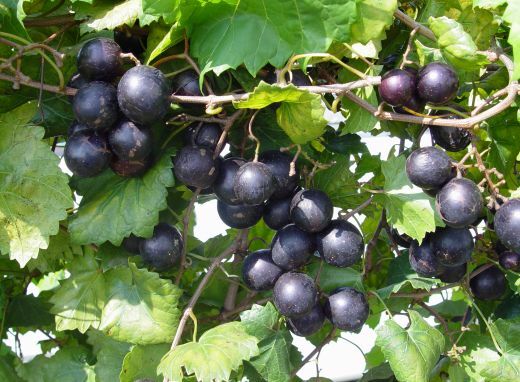 High soluble solids and excellent berry firmness make Lane a good choice for fresh market sales. Berries have a crisp skin and firm pulp that adheres to the skin. As a result of its medium yields, Lane plantings should probably be restricted to what is required to meet early-season sales. 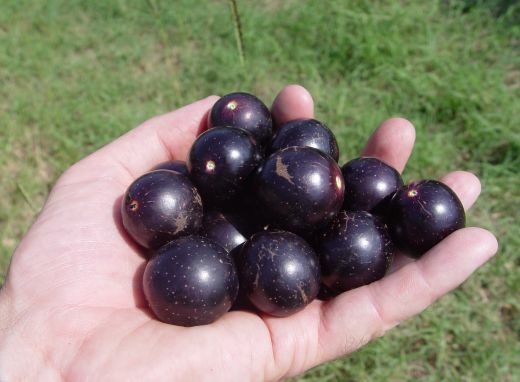 At maturity, Lane berries are round and average 11.0 g in weight and 26.1 mm in diameter with four seeds per berry. 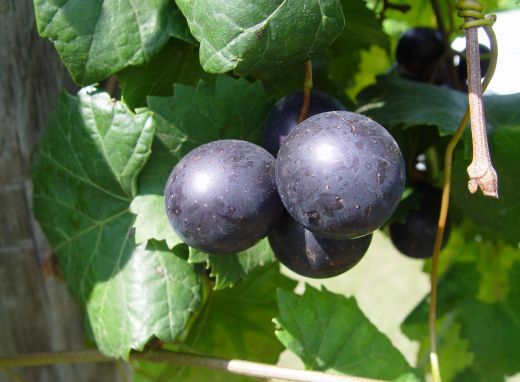 Lane produces dark purple to black berries of large size and extraordinary firmness that are consistent in size and color. 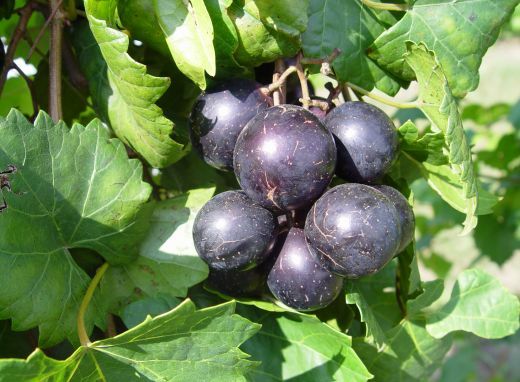 The berries have excellent flavor and are noticeably sweeter than other cultivars. Lane berries mature early in the harvest season. Replicated yield trials took place in Tifton and Watkinsville, Ga. Additional trials were held at a commercial vineyard in Ocilla, Ga., and an Auburn research station in Cullman, Ala.
Lane was developed by Dr. Patrick J. Conner at the University of Georgia’s Coastal Plain Experiment Station in Tifton, Ga., and released in 2011. Lane is protected by U.S. Plant Patent and can only be sold by individuals who are licensed by Georgia's Integrated Cultivar Release System under guidelines established in conjunction with the University of Georgia Research Foundation (UGARF). Dr. Patrick Conner is an Associate Professor at the University of Georgia in the Department of Horticulture. He leads an active pecan-breeding program with the goal of producing new disease-resistant cultivars for use in the southeastern United States. Conner manages the University of Georgia’s muscadine grape and low-chill peach breeding programs, and he is also involved in a cooperative project with the USDA and University of Florida to produce mid-chill peach cultivars. Dr. Conner earned his B.S. degree from Purdue University Horticultural Science and Technology, and Ph.D. from Cornell University in Plant Breeding. During his doctoral research at the New York State Agricultural Experiment Station, he produced molecular linkage maps of two apple progenies and used these maps to help explain the inheritance of several important horticultural traits in apple. After completing his doctoral degree, Dr. Conner spent a year at Cornell as a post-doctoral associate in Dr. June Nasrallah’s lab, studying self-incompatibility in Brassica. From Cornell, Dr. Conner travelled to the University of Maryland to work as a post-doctoral associate in Dr. Timothy Ng's melon breeding program. While at Maryland, he worked to understand the role antioxidants such as Vitamin C, Vitamin E, and glutiathione play in protecting ripening melons from senescence.